They are not at all difficult to use – simply attach any Medela pump into the Medela Pump and Save bags and start pumping. Once you're done, label it and pop it in your refrigerator or deep freezer and build up your breast milk storage. This way your baby's daily supply of breast milk will be assured even you're not physically present. The useful, stand-up Medela Pump and Save bags make collecting, freezing, and storing of breast milk simple and hygienic. The bags include a simple close zipper lock that does not leak and a high quality base to avert spills. A defensive oxygen barrier assists in preserving freshness as well as nutrients for your baby, even in the cooler. The easy to connect adapter attaches easily to all to most Medela breast pumps and breast shields. All parts that come into contact with breast milk are BPA FREE. These bags save time by using the easy-attach adapter to pump breast milk straightforwardly into bags, or pour specifically to bag from bottle to simply store in the refrigerator. 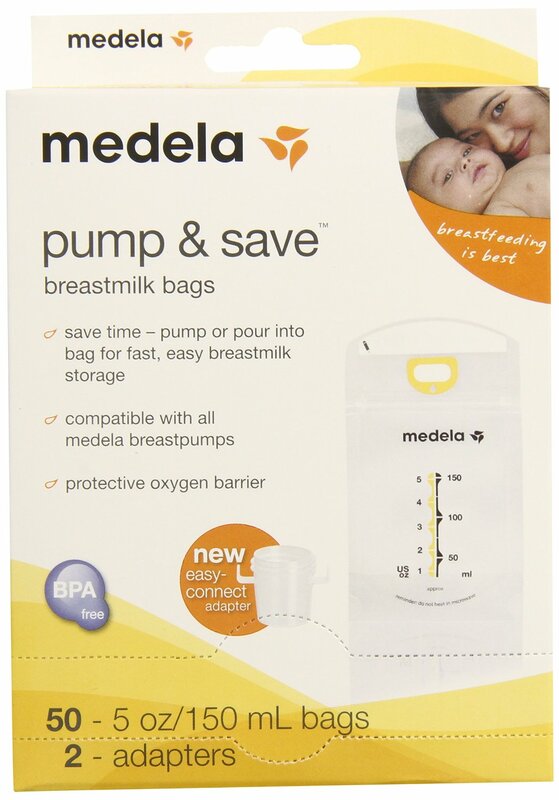 25% OFF on Medela Pump and Save Breast Milk Bags! Easy-connect adapter can be used with most Medela breast pump breast shields. Easy to connect adapter lets you pump breast milk straight into the storage bag. 2 fold-walled bags contain a leak-proof zipper ensuring long cold storage periods. Made from Food grade BPA FREE material. The bag is made of inflexible material so doesn't expand. 5 oz capacity is too less for older babies. In case you need a bag that attaches straight to your Medela breast pump then Medela Pump and Save Breast Milk Bag is your only alternative. The idea is very good but execution could have been better. Zipper lock needed to properly sealed to prevent spill. Many moms complain about this issue. Bit pricier also. I found them very useful. The zip locks on the bags are more difficult to seal than it should be but I am now used to them. You can buy you ignore this niggle. Works seamlessly with my Medela PISA. I am satisfied with the product.